How do you please all of your event attendees all of the time? Some say is cannot be done, but if you get the important details of your event right then the rest should follow. Getting event attendees to return and be happy with what you have organised takes planning and attention. Tailoring event content to individuals might seem like an impossible task, but once you gauge attendees’ areas of interest and passions both inside and outside of work, you can create a bespoke event that has wide appeal but feels intimate at the same time. Things like making sure every attendee has a name badge and reminding staff to use first names etc. is also a great way to provide a more personalised experience. Getting your guests to fill in customer satisfaction forms and questionnaires about the event makes them feel important and that their opinions are valued. 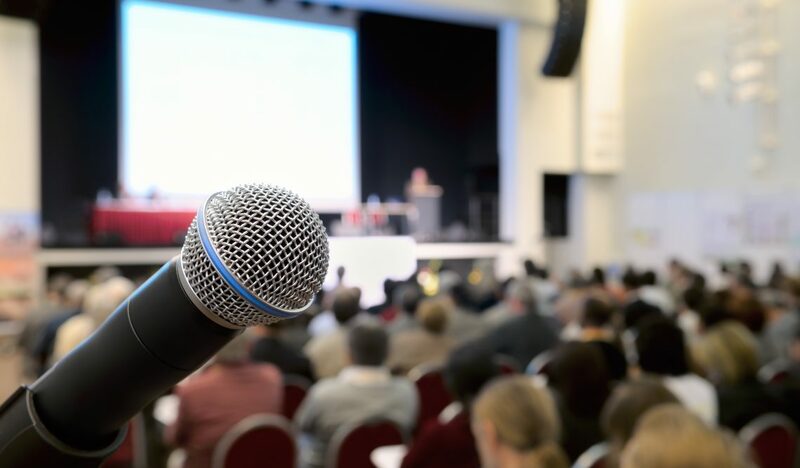 By constantly opening up a dialogue about the event and swapping ideas and views you can also provide attendees with a better experience next time. Many potential attendees are attracted to an event because of the speakers. Making sure you hire the top speakers in their game will not only ensure a good attendance but add value to the event as well. The best speakers can hold attendees’ concertation and keep them engaged whilst delivering large quantities of information. Choosing your speakers wisely and by not skimping on the best will make your guests feel like you value their experience. Your event will stand out from all the others if you use new and exciting tech. Think about the latest devices that you all use at home and try and implement them into your event. So for instance, as standard everyone should at least have access to Wi-Fi, there are also some amazing event apps that you can get your attendees to download which allows them to map out the event, lets them check in early and offer great entertainment. Who doesn’t love getting something for free? Whether it’s a goody bag at the end of the event, free lunches from trained chefs, or tickets to the latest show in town, your attendees will feel appreciated and remember your event over others. If you give out a few freebies at the start of your event you will instantly create a good impression and will put everyone in a great mood, which also means your event will get off to a good start. Imagine going to an event and no one knows which speakers are up next, what time lunch is, where to go for certain activities? All these point to an event that has not been professionally organised. Letting your attendees know where they need to be at particular times, what the programme is throughout the day, what time sessions start and finish is key to a successful event. Checking to see if you have any attendees with special needs such as wheelchair access or hearing aid amplifiers and then making sure they have everything they require for an enjoyable event is not only good manners but should be seen as standard. You can prepare yourself fully to make life easier for your guests that might have difficulties accessing the building or reading the material. Remember, providing the tools to make your event more accessible for everyone will give you a better attendance and make sure that everyone is included. Getting attendees to return is simply a case of common sense; if you treat people with respect and show that they are valued then you are bound to get them coming back again and again.